I love making arepas and wanted to share with you a post highlighting the best vegan arepa recipes. Arepas can be filled with so many different things. In this round-up, I am sharing some of my favorites! 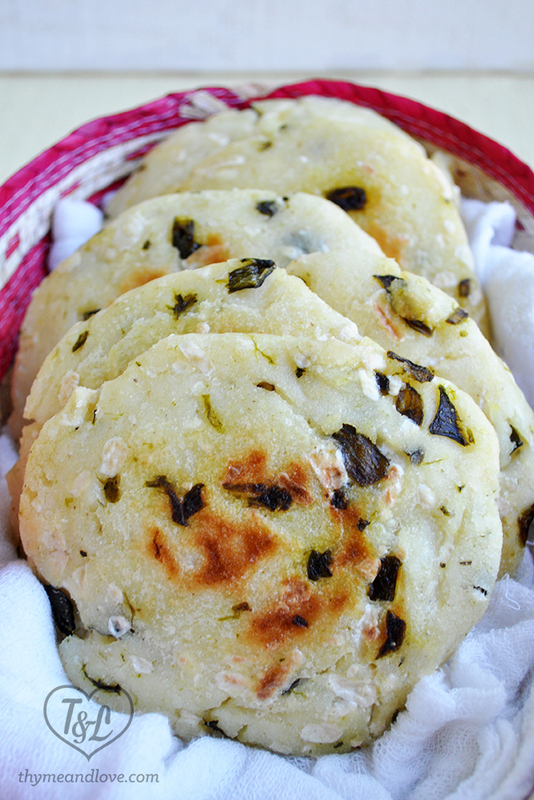 Over the years, I have shared a few different arepa recipes with you. 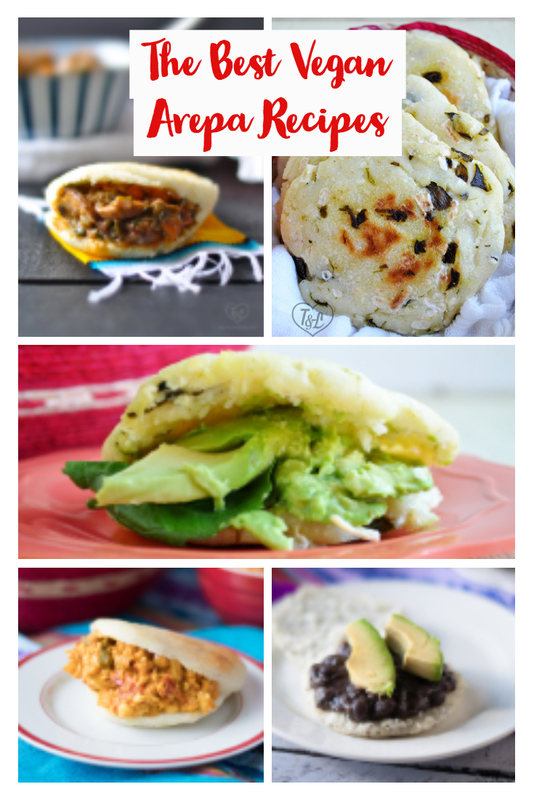 My arepa recipes are some of the most popular recipes on the blog. 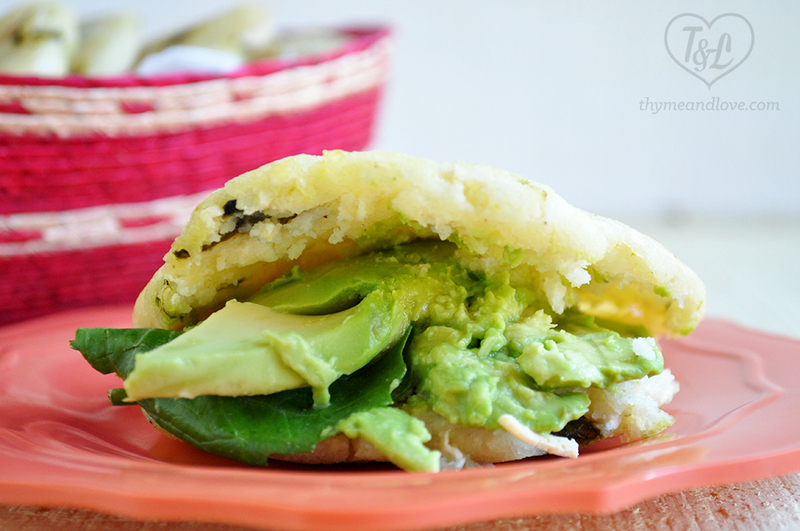 This post will share some of the best vegan arepa recipes! If you aren’t familiar with arepas they are traditional corn cake eaten in Venezuela and Columbia in place of bread. Arepas can be filled with a wide range of foods. The best part is that they are naturally gluten-free and vegan. In order to make delicious arepas, you’ll need a few essentials ingredients. Arepas use a special flour: P.A.N. Harina precocida or masarepa. I have been able to find the flour at my local Latin grocery store. If you don’t feel like searching all over your town for the flour, don’t worry. You can buy it directly from Amazon! Unfortunately, you can’t use Mexican masa harina. It just won’t work for making arepas. When it comes to cooking the arepas, I find that a cast iron griddle is essentials. I love my cast iron griddle because it does a great job of browning the arepas. I also use the griddle to heat corn tortillas, and make salsa. It has become an essential piece of cookware in my kitchen! Arepas aren’t difficult to make, but it will take some practice getting the right consistency. Some days you might need to add a touch of water or P.A.N. 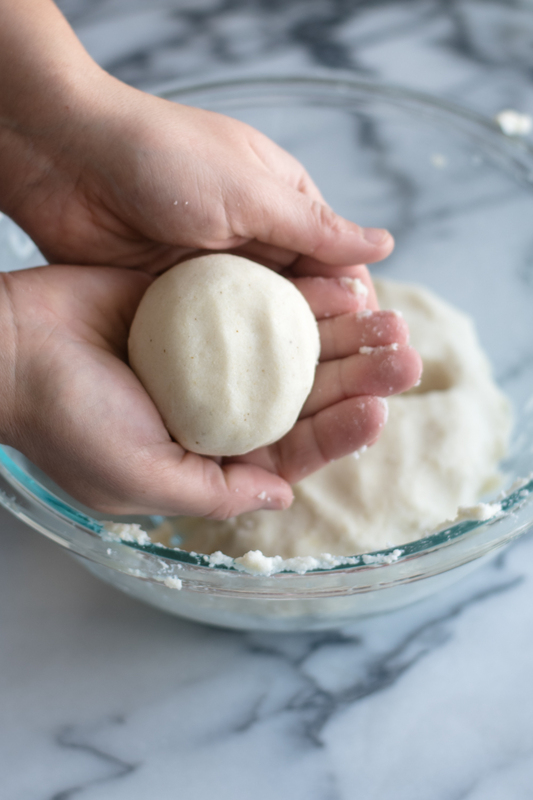 You are looking for a dough that is like mashed potatoes. 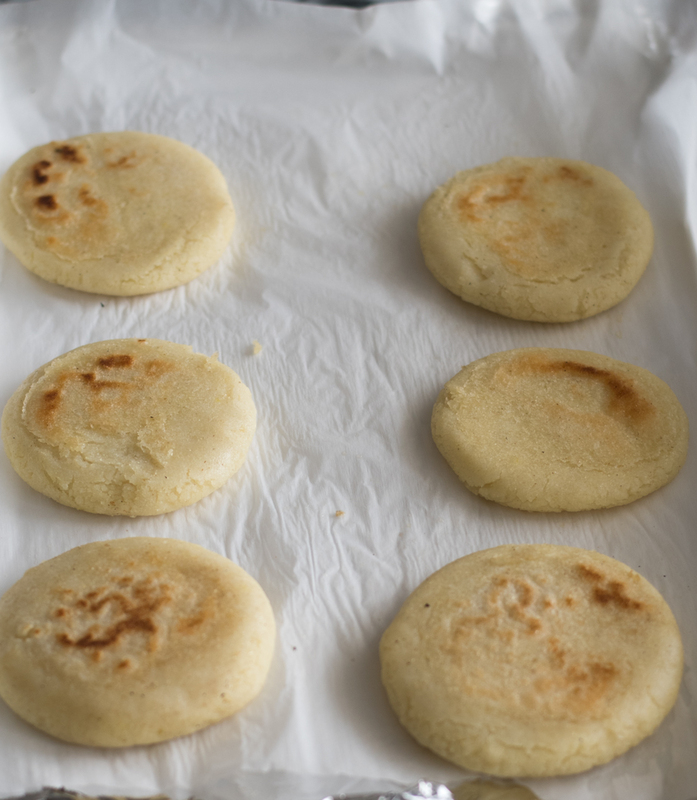 For a complete step by step guide of how to make arepas, be sure to read this post! On the weekend, I like to make arepas for brunch. Tofu scramble is just a great filling for arepas. This vegan tofu scramble is inspired by Perico Venezolano, a traditional egg dish. The tofu scramble and arepas can be made at the same time as well. This is one of my favorite breakfast to make on the weekends! 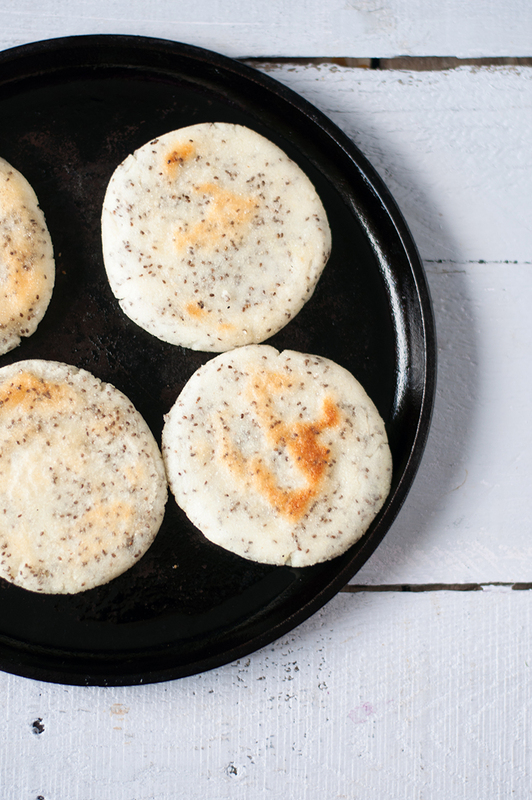 These arepas are a little different because the dough is infused with chia seeds! Chia seeds are a great source of Omega-3, antioxidants, protein, and fiber. Besides being nutritious, chia seeds add a nutty, earthy flavor to the dough. The black bean filling is so good with the chia seeds! Great for dinner or breakfast! 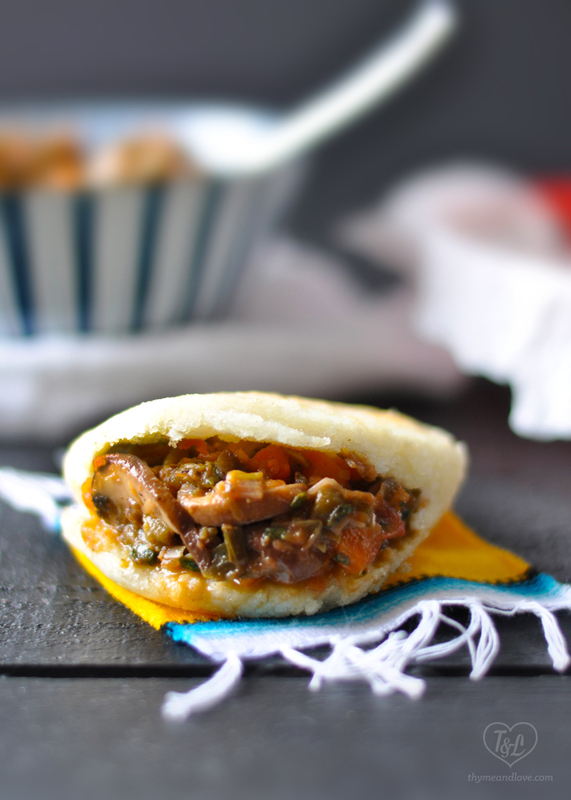 Earthy mushrooms create the base for a sweet and tangy vegetarian filling for traditional Venezuelan arepas. 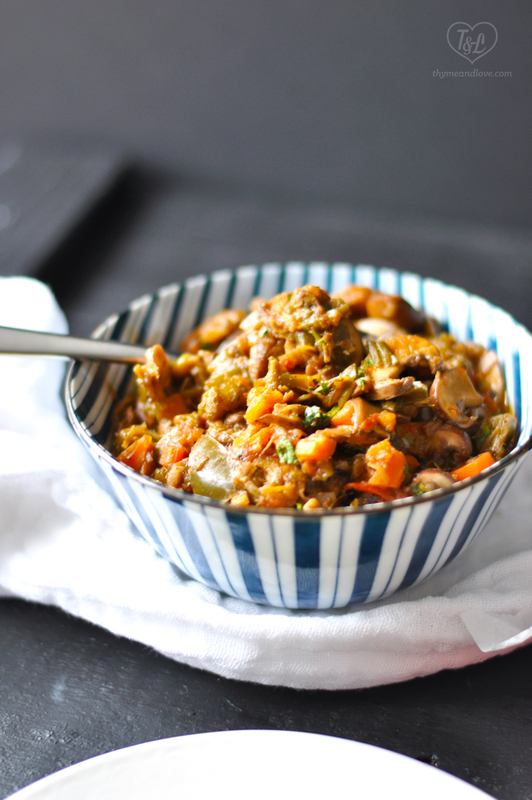 The mushroom filling can be made ahead of time. Simply reheat it when you are ready to serve with the arepas. 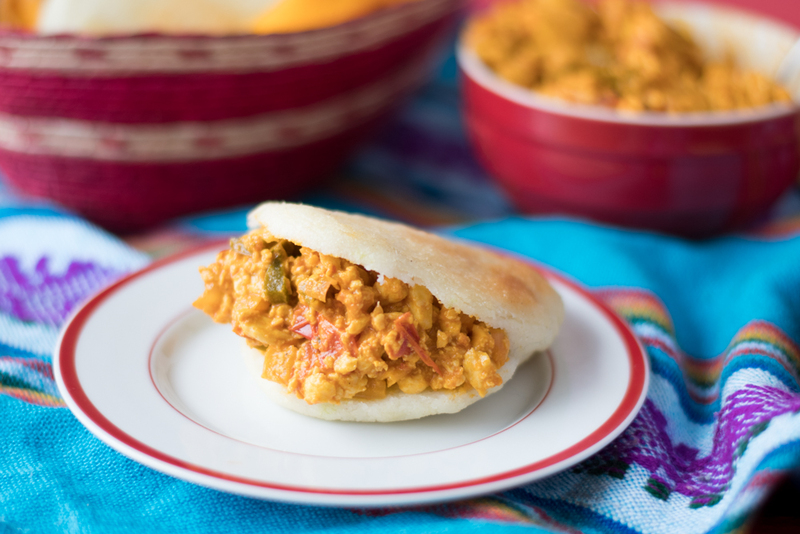 Arepa dough is infused with roasted poblano peppers and vegan cheese. The cheese gets all melty and gooey. So good! 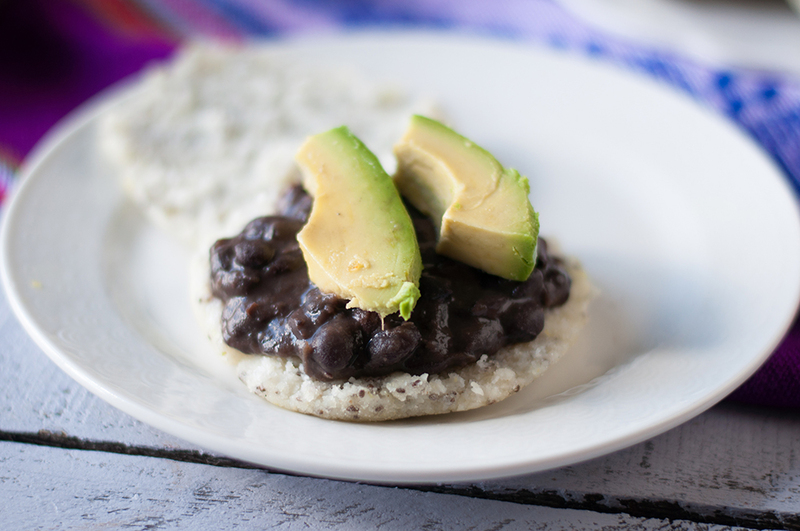 I love stuffing these arepas with lots of avocado and salsa! Great anytime of day! 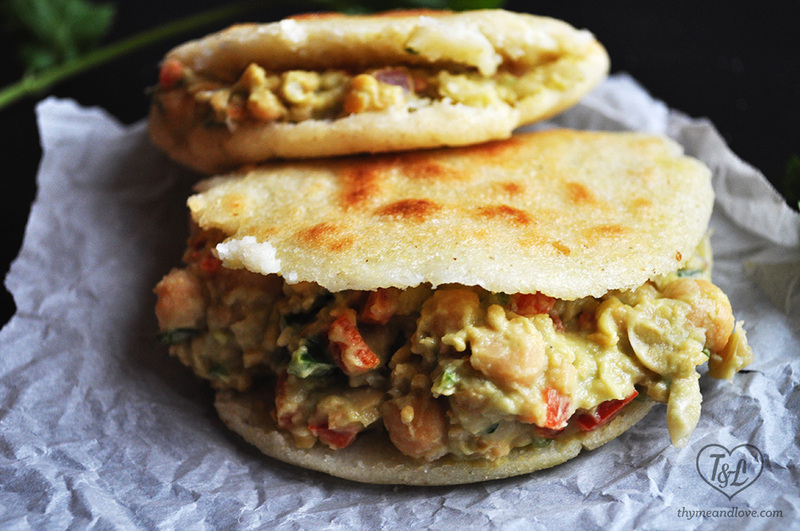 The avocado and chickpea filling is creamy, rich, and a healthier arepa filling option. 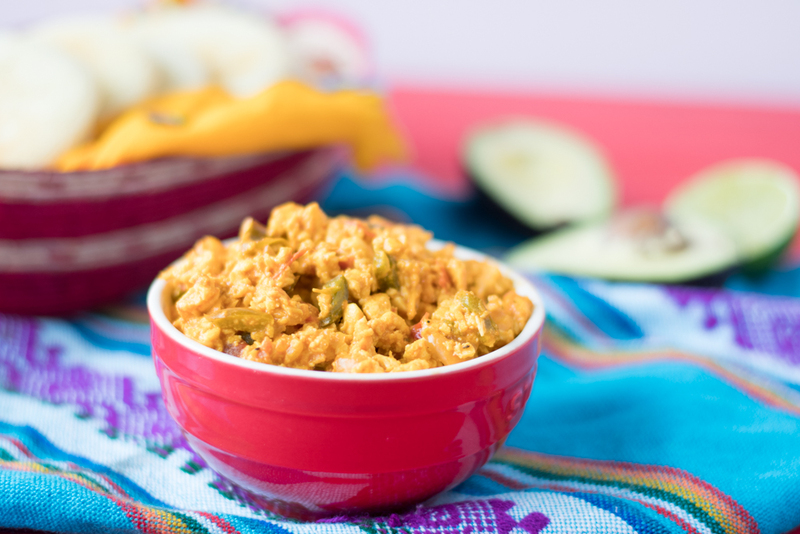 The avocado is creamy and the chickpeas add a nice texture. 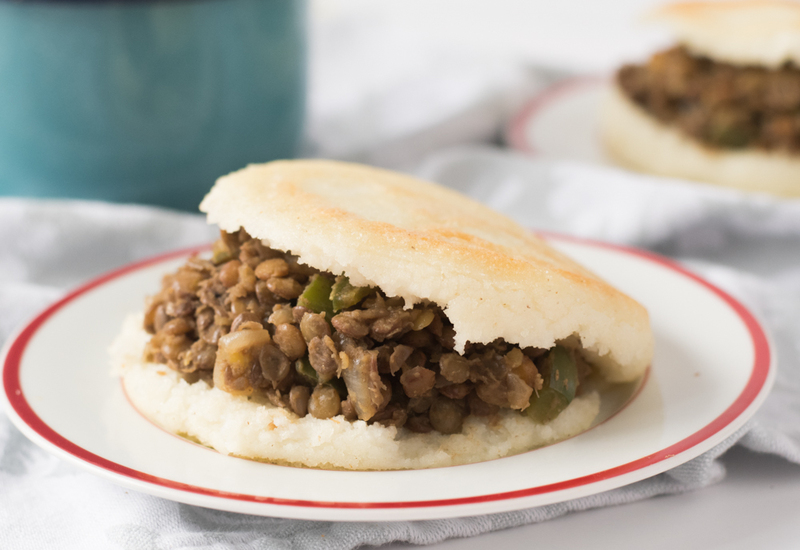 This lentil arepa filling is a plant-based take on traditional carne molida. 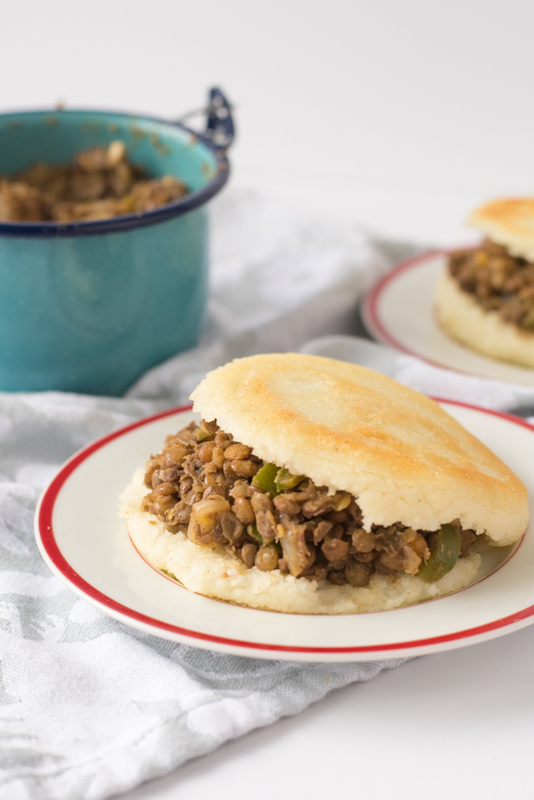 Whether you are vegan or just looking to incorporate more plant-based proteins into your diet, you’ll love these Lentil Arepas. 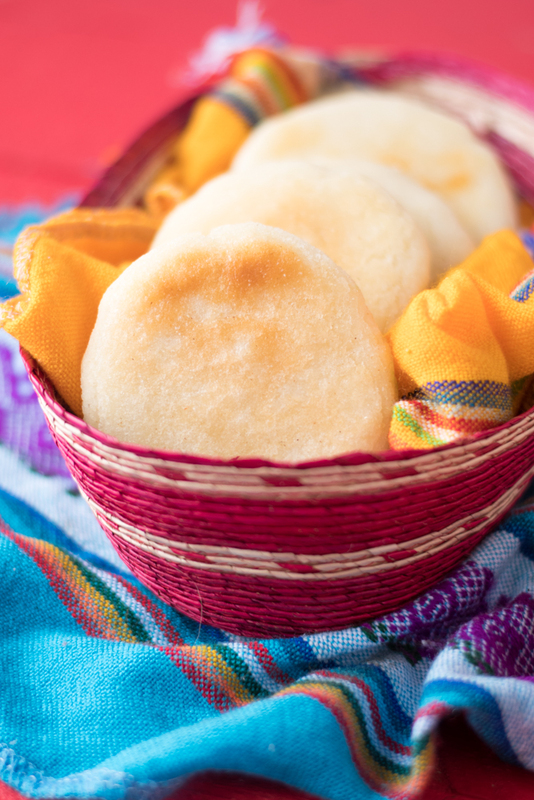 If you have never made arepas before, I hope that you’ll give them a try! They are so versatile and perfect for breakfast or dinner!